Israel’s Yad Vashem Holocaust memorial society say they are looking for the family of a girl who died at Sobibór extermination camp who is the likely owner of a unique pendant that suggests a connection with Anne Frank. Recent archeological digs in Sobibór in Poland unearthed numerous personal belongings of Holocaust victims who died at the notorious camp. Archaeologists found various items, including jewelry and watches which have been buried for more than 70 years. Amongst the recovered possessions was an unusual pendant that is remarkably similar to one owned by famous teenage diarist Anne Frank who died in the Holocaust. Researchers haven’t found any other examples of the unusual artifact. 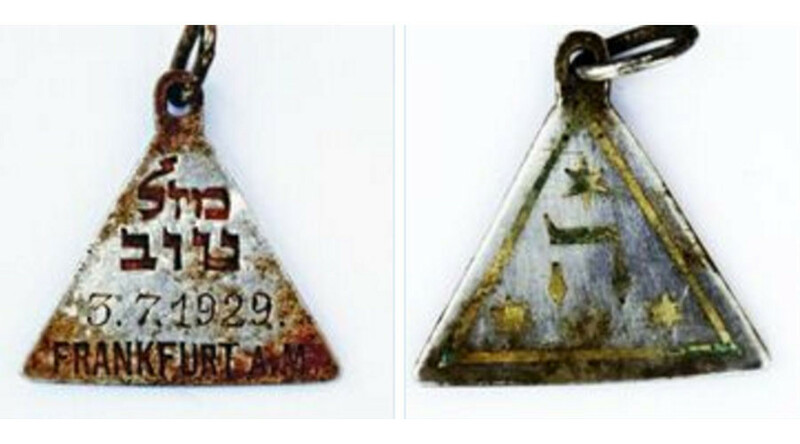 Yad Vashem say they believe the pendant belonged to Karoline Cohn, a Jewish girl who died at Sobibór. Both Cohn and Frank were born in Frankfurt in 1929, and historians suggest a possible familial connection between the pair of teenagers. Researchers are currently trying to locate relatives of the two families to investigate further. The pendant has the words "Mazal Tov" written in Hebrew on one side, along with Cohn's date of birth. The Hebrew letter "ה" (God's name) as well three Stars of David are on the other side. The personal items were found in the foundations of a building located on the "Pathway to Heaven," the path along which victims were forced to walk to the gas chambers. It’s thought they fell through the floorboards and remained buried in the ground until they were discovered last year. Other items found in the excavations included a Star of David necklace, a woman's watch and a metal charm covered in glass with an etching of the image of Moses holding the Ten Commandments. More than 200,000 Jews were killed at the camp in Sobibór, which was destroyed by the Nazis following a revolt in October 1943.